Congratulations to Pacific Northwest National Laboratory toxicologist Dr. Joel G. Pounds for being named a Laboratory Fellow. This is the highest rank that PNNL science and engineering staff can attain. He is currently the Director of two National Institute of Health interdisciplinary research centers focused on identification of biomarkers for environmental stress and on nanotoxicology. Pounds is an internationally recognized scientist in the field of toxicology, particularly the interactions of biological systems and organisms with their environment and the identification of biomarkers for these interactions. 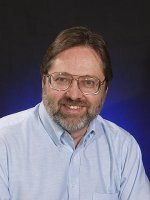 His leadership on the plasma proteome and work on systems toxicology of nanoparticles are recognized as major contributions to current PNNL science themes. Pounds is a frequently invited presenter at national and international conferences and is also a dedicated mentor to younger colleagues at the Laboratory. He will be recognized and present an overview of his research at a ceremony September 1 at PNNL.